Bertsch Panta 9 Corner Log Cabin: The Bertsch Panta Corner is a superb quality 2 roomed log cabin. Featuring Bertsch's superb quality windows and doors including Double Glazing this log cabin Summer House is designed to offer maximum possible usable space in the corner of your garden. 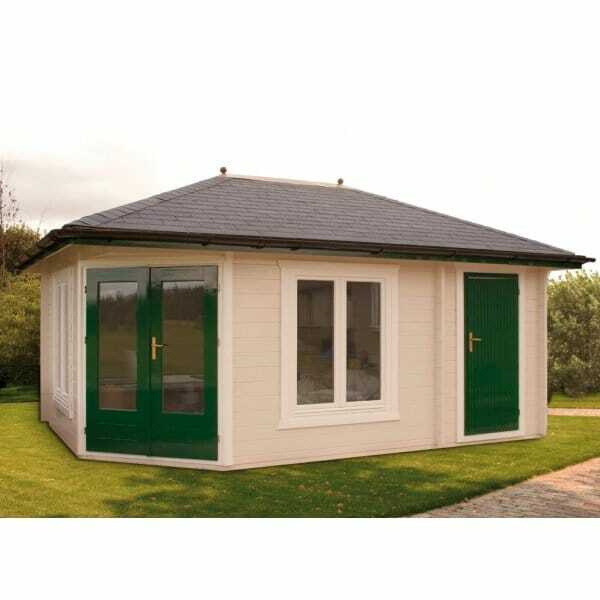 Ideal as an office or for all year round use, the Bertsch Panta 9 Log Cabins can be the perfect extension to your living space by offering you another two rooms in the garden.